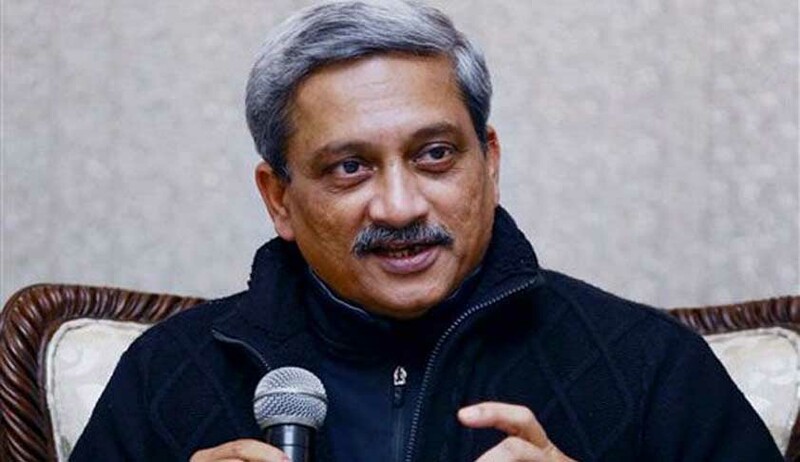 The Election Commission has issued a show cause notice to Defence Minister Manohar Parrikar over his controversial ‘bribe’ remarks made during an election campaign in Goa on Sunday. He has been asked by the ECI to revert by Friday with his explanation over the matter. The ECI, in its notice, stated that sub para (4) of Para (1) of the Model Code of Conduct provides that parties and candidates shall avoid all activities scrupulously all activities, which are corrupt practices and offences under the election law such as bribery etc. The ECI notice pointed out that the ‘bribe remarks’ clearly amount to abetting and promoting electoral offence of bribery within the meaning of Section 171B, 123(1) of the RP Act 1951 r/w Section 171E IPC and stated that ‘the commission is, prima-facie, of the opinion that by making the aforesaid statements you have violated the above said Model Code of Conduct’. The Goa Forward Party, report of the District Election Officer, North Goa District, forwarded by the CEO, had alleged that the minister had deliberately and intentionally instigated the public to take bribe for voting and had, thereby, abetted the offence of bribery during the election process by making the controversial remarks on 29th January, 2017. A copy of a report by the flying squad in-charge has also been attached, which alleged that the minister had not take permission for holding the meeting. Aam Admi Party chief and Delhi Chief Minister Arvind Kejriwal, who himself embroiled in a similar controversy for his ‘bribe remarks’ in a rally at Benaulim in Goa, had also written to the ECI regarding the purported remarks. He urged the ECI to take prompt action and show similar enthusiasm in as was done in his case.